Trust the auto repair service that has been keeping Fraser Valley’s engines running for over two decades. From hybrids to sprinters, suspension and wheel alignment to oil changes, we have a reputation for outstanding service. All our work is covered by our Industry Leading and Langley’s best, TWO YEAR, 40,000 KM limited Warranty. 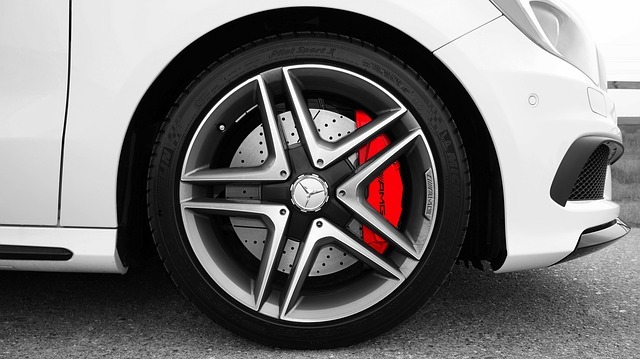 Your braking system is the most important feature and you rely on it all day long. We recommend inspecting your brakes twice a year or every 10,000 KMs. When we perform a brake inspection you will get a detailed report on the brake pad and shoes thickness at all four wheel as well as a report on the brake fluids moisture content. Most cars brakes can be safely worn down to about the 2 millimetre mark, and we always measure the life of brake in mm as the commonly used percentage as extremely subjective and are often misleading. By measuring the brake life at every second oil change (or every 10,000 KMs) we gather a very good idea of how long your brakes will last and can recommend replacement at the right interval, based on your driving habits, this saves you money and gives you peace of mind. We measure brake fluid moisture content in order to determine if the fluid has become contaminated with water vapour from the air. It is normal for brake fluid to absorb moisture and require replacement about every three years, in fact many European cars have replacement on their maintenance schedules. Water in your brake fluid over the 3% level is enough to cause corrosion in your brake calipers, master cylinder and ABS components and under extreme conditions like you would see on the Sea To Sky or Coquihalla highways, water contaminated brake fluid can boil causing a low spongy brake pedal. A word of caution; Brake systems are made up of many components, all of which are important to the life and safety of your car or truck. When choosing a shop to replace your brakes, never rely on a estimate given over the phone, they can’t possibly know what your car actually needs without inspecting it first. Every mechanic knows this fact, but many will quote a price anyways. Have your brakes inspected, pay a reasonable price for the inspection (nobody works for free-those that claim to, have to make up for the loss somewhere and it will usually be hidden in your bill – or in plain sight as a part or service that may not be needed) and most importantly, ask questions! Our experience is that a complete brake job (Pads, Calipers and Rotors) will often cost less in the long run as it will ensure your pads and rotors last longer, by having all the components working at their optimum. Complete replacement is by no means always the case, but by the second time of replacement, it is often required. Many vehicle manufactures have gone to such extremes to lighten up modern cars, that the rotors will not outlive a set of brake pads. Most of us have had the dreaded check engine light come on while driving, and many people are confused as to exactly what this means and what they should do. Be careful not confuse the check engine light with the service required light or the maintenance light as these lights have a different meaning then the check engine light, they refer to a regular requirement like an oil and filter change. They will light up at a given mileage to let you know that a service is required. We always reset these while performing maintenance services. For vehicles built before 1996 if your check engine light comes on, it could mean that there is a failure somewhere in the car/trucks electronic engine control system. If the electronic sensors or actuators are not working properly you are going to see the light come on. As of 1996 and newer, all cars and trucks are required to have more strict exhaust emissions guidelines. Not only will the check engine light monitor the electronic sensors and actuators but the vehicles emissions as well. Now the check engine light will monitor several emissions factors and predict very accurately how much pollution is coming out of the engine. These new systems are so sensitive that the check engine light may come on if you don’t fasten the gas cap properly! – Believe it or not, the pollution coming from an unsealed tank of gas can exceed the pollution coming out of the tailpipe on a modern car! As most people are aware, it requires the use of a diagnostic tester to retrieve the codes that are set when the check engine light on comes on. A simple tester can be had for around $100, but it may surprise you to know that our testers cost as much as $10,000 and we currently own 8 different ones, including the factory testers for Ford, GM, Toyota, Chrysler and Mazda. Overall e have coverage for over 25 brands of vehicles. All of these tools also have yearly subscription fees into the thousands to keep up to date. Why would we make this investment if we could gather the info we need from a $100 tool? The only logical answer of course is, that you get what you pay for and the generic code readers just don’t give us nearly the amount of info and testing capability as we need to accurately diagnose your cars concerns. I can safely say that NO OTHER REPAIR SHOP IN THE FRASER VALLEY HAS OUR LEVEL OF DIAGNOSTIC EQUIPMENT! This is a commitment we made to be the best place for accurate diagnosis of your cars needs and concerns. If you have any warning lights coming on, don’t hesitate to come by or call us to discuss a plan of action to diagnose your vehicles concerns. Delaying or ignoring these warnings could end up causing a possibly very little problem to turn into an expensive one. For information on our diesel truck services please choose from the list. 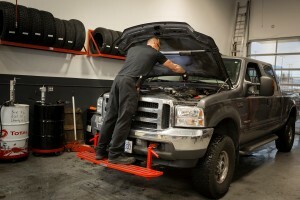 This will bring you to our Diesel Truck website in Langley. Precision Auto Service is a GRiP Tire location and offers a full line of tires for every vehicle you own. Through our affiliation with GRiP Tire we now can offer pricing and availability equal to any tire store. From the mini van or grocery getter to your workhorse pickup, we can supply and install tires and most importantly stand behind them. Call 604-530-9394 or come see us at our location in the Murrayville area of Langley for details and pricing. Michelin, Continental Tire, General Tire, Pirelli Tire and Hankook Tire are all in stock, contact us for other brands and any tire need you may have. Your time is money and we understand that. Whether you have a few vehicles in your fleet or a few dozen, we can help you keep them on the road and on budget. We offer online vehicle management so you can pull up your vehicle records at any time from your own office, schedule maintenance and service appointments or consult with us about any of their care. 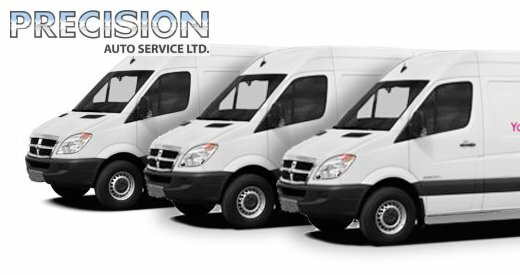 We service all cars and light trucks up to one ton and we can handle cube vans, Sprinters, flat decks or whatever you may have. Gas, diesel or hybrid, we have the staff of technicians to keep them running on time. We accept Visa, Mastercard, ARI, Element and PHH for payment. Credit terms available upon request. Some of the local fleets we handle are: The Township of Langley, Langley RCMP, Union Pumps, Your Local Handyman, Pinnacle Environmental, Vista Landscaping, Totally Wired Installations, BCAA, Stuffers Supply, Online Collision, Horizon Landscaping, Boyd Auto Body and many other local businesses. Although much of the technology in Hybrids is new, they are still an automobile with a gasoline engine inside them. They still need oil changes, tire rotations, brake repairs and the regular scheduled maintenance services all other cars need. At Precision Auto we do realize that there are some very specialized components in your Hybrid vehicle as well. For this reason we have invested more time in Hybrid training that any other independent repair shop in Langley. Our technicians and management have attended training from specialists from California as well as keeping in close contact with Canada’s technical experts in the Hybrid field. We are also the first repair shop in western Canada to invest in hybrid battery reconditioning equioment and training. See our hybrid battery page here. We have also invested in our own Hybrids, a 2013 Toyota Highlander Hybrid, a 2013 Prius and a 2005 Honda Civic Hybrid. You can rest assured we will have the tools and training to keep abreast of Hybrid and any other automotive technology that comes our way. Our FREE roadside Assistance Program Just Got Better! Coverage is limited to (i) passenger vehicles less than 12,000lbs / 5,450kg, (ii) $75 per event, and (iii) disablements within Canada. Roadside assistance is valid one hundred and eighty (180) days from the date of your activation of this Card. Note that you must be activated in Roadside Care* at least twenty-four hours prior to any service requests. 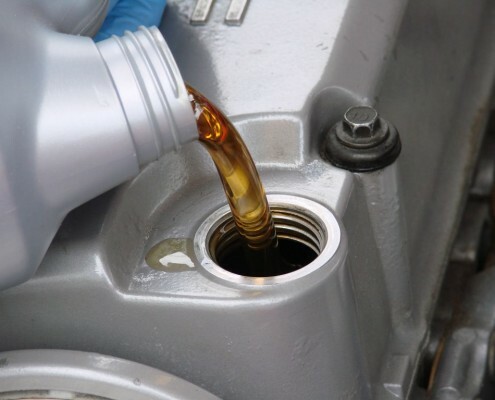 Our oil change maintenance plans includes a basic and a more complete oil change, alternating with every other service. Precision Auto Service has 100% Canadian Red Seal and ASE certified Auto Service Technicians and even our oil changes include service from our certified techs. Prices start at $44.95 for most vehicles and from $89.95 for diesels. Free shuttle and valet services. Shuttle: Let us drop you off and pick you up when your car is ready. Valet: Have us pick up your car and bring it back to you anywhere in Langley (both directions) for $20! Call us to arrange your pickup today!